Organizations supported by The Stelac Foundation, Co-Founders and Managing Partners of Stelac. Established by David Rockefeller in 1965, Americas Society is dedicated to education, debate and dialogue in the Americas. A non-profit organization in the field of international development cooperation. Its president of honor is His Royal Highness the King of Spain. CODESPA believes in the human capacity to build a more just and equal world. CODESPA manages over a 100 projects to disperse the values of integrity, responsibility and human respect in 17 different countries in South America, Asia and Africa. The gallery functions to collect, preserve, study, document, interpret, and exhibit the evidence of human culture. Stelac Foundation proudly sponsors musicians on their educational journey. 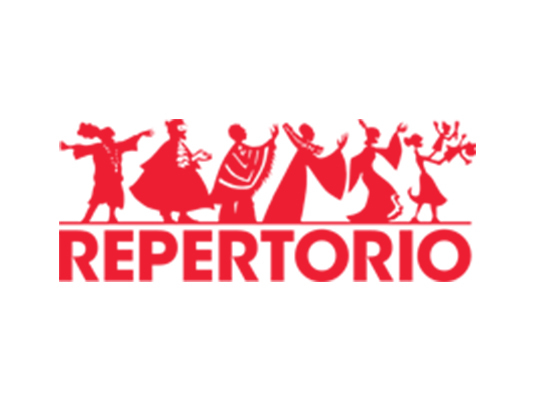 Repertorio Español was founded in 1968 to introduce the best of Latin American, Spanish and Hispanic-American theatre in distinctive, quality productions, and to bring theatre to a broad audience in New York City and across the country. Aids and supports the development of classical music in Colombia through educational programs and community activities. The Crotona Center helps boys develop into men of good character through study, sports and mentoring. Our staff, by their example and instruction, inspire youth to recognize the value of sound character and educational achievement. Committed to the development of leaders, who want to leave positive and lasting impacts on people, firms and society, through their professionalism and integrity. The mission of the Art Rocks benefit is to raise awareness and money for the Naomi Berrie Pediatric Diabetes Center. An institution erected by the Holy See, for the purpose of education and investigation of ecclesiastical science. Committed to a literate America by inspiring a passion for reading among all children, providing quality content and resources to make an impact, and engaging communities in the solution to give every child the fundamentals for success. A non-profit organization that creates, develops and supports innovative art projects in the Americas. Dedicated to the preservation of musical culture in Colombia by transforming the music industry and providing support to young musicians. A non-profit organization that provides daily meals to extremely poor and at risk schools in South Africa. Led by Artistic advisor, Plácido Domingo, formed by more than 100 gifted young musicians from 20 countries of the western hemisphere. An exclusive and intimate international art fair of select exhibitors invited to present the best Modern and Contemporary art from Latin America, Spain and Portugal. A global youth coalition committed to promoting dignity of the person and building solidarity among youth from developed and developing nations.